The Community College of Rhode Island has both college-to-college and program-to-program transfer articulation agreements with many four-year institutions, and the number of agreements continues to grow. These agreements guarantee CCRI students who graduate with an associate degree and a specific grade point average will be accepted and will receive both transfer credit and advanced standing upon transfer to the four-year institution. Transfer planning should begin during a student’s first semester at CCRI. For transfer information and planning, contact Advising and Counseling: advising@ccri.edu or 401-825-2301. Our program-to-program agreements allow students to focus on a particular major while at CCRI and prepare for transition to a specific major at a four-year institution. The agreements allow students to maximize their transfer credits and enter the four-year institution as juniors. Detailed information about our current agreements is online. Our college-to-college agreements allow students to transition to a four-year school after graduating with an associate degree from CCRI. Students are encouraged to contact representatives from the four-year schools to help maximize their transfer credits. For additional information regarding these agreements, visit this page. Additionally, CCRI has numerous program transfer agreements and Joint Admissions Agreement options with Rhode Island College and the University of Rhode Island. For the most up-to-date information, please visit the RI Transfers website. Students interested in earning a bachelor’s degree from Rhode Island College (RIC) or the University of Rhode Island (URI) may participate in JAA at CCRI. JAA is a program for first-time college students who sign up before earning 30 college-level credits. 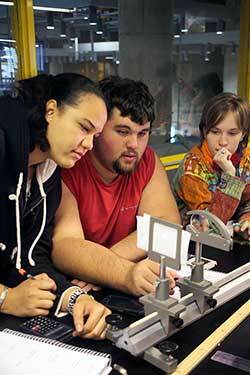 Earn an associate degree in General Studies at CCRI. Complete one of the approved JAA transition plans within five years. Meet with a CCRI and a RIC or URI advisor each semester. Graduate from CCRI with at least a 2.4 cumulative GPA. Meet all the requirements of the JAA program. Access advising from CCRI and RIC or URI. Conditional acceptance at RIC or URI while attending CCRI. Eligibility for a tuition reduction by earning a 3.0 GPA or higher. Savings through waived application fees at RIC or URI. 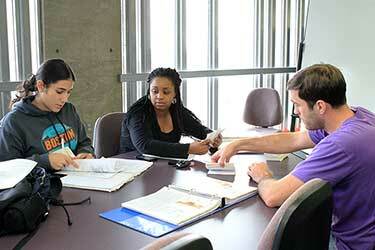 Once at RIC or URI, register for courses with other degree students with the same number of credits. Students interested in JAA should meet with an advisor in the Department of Advising and Counseling to discuss transfer options and complete the Joint Admissions Agreement application: 401-825-1233 or jaa@ccri.edu. More information on JAA can be found on their website. Transfer planning should begin during a student’s first semester at CCRI. While some four-year institutions prefer that students complete associate degree requirements before transferring, the entrance requirements at four-year colleges vary widely. Catalogs and websites of four-year colleges usually indicate this information, including the minimum cumulative grade point averages required for transfer, application procedures and deadlines. Transfer requirements range from a minimum of 2.0 (C average) GPA at many institutions to near 4.0 (A average) at more selective institutions. Students need to follow a plan of study at CCRI that is consistent with specific program requirements at the transfer institution. For example, Business Administration students need to complete a core of courses that most colleges recommend be taken at CCRI. This kind of planning ensures a maximum number of transfer credits since individual institutions have their own specific requirements. Students who want to transfer should have their programs continually monitored by the Advising and Counseling staff, faculty advisors and representatives from the institutions they wish to attend. A transfer fair is held each semester at CCRI’s main campuses for this purpose. In addition, representatives from various colleges are routinely invited to campus to meet personally with students regarding transfer. Students who want to transfer with advanced standing to other institutions must meet academic criteria and course requirements set by the receiving institution. Transfer credits for advanced standing are accepted at the option of the four-year college. Students applying for transfer to some four-year colleges and universities must show evidence of a high school diploma or its equivalent. A Transfer Guide for Students, based upon the Board of Education Policy for Articulation and Transfer, is available to provide students with information about requirements to transfer to Rhode Island College and the University of Rhode Island: www.ritransfers.org. Students are also encouraged to discuss their plans with the admissions officers at RIC at 401-456-8234 or URI at 401-874-7100. Interested students may call the Department of Advising and Counseling at 401-333-7160 in Lincoln, 401-825-2301 in Warwick, 401-455-6063 in Providence or 401-851-1625 in Newport, to make an appointment with a counselor who can discuss options and assist in selecting courses for future semesters. CCRI does not automatically give credit for courses taken elsewhere. Students who satisfactorily completed collegiate-level courses at other regionally accredited institutions may have their courses evaluated once their academic goals have been established. Preparatory classes are not transferable. Contact transfer@ccri.edu or 401-825-2003 to find out how to have your courses evaluated. Additionally, quarter-hour credits earned are converted to semester hour credits by a three-quarter ratio. Grades of C- or better in courses required by the CCRI program of study are required for transfer. Some programs may have more stringent policies. Except for literature, speech, writing and select art courses, credits completed beyond 10 years do not transfer, unless the student seeks approval of the chairperson responsible for the intended major. If transferred coursework meets the benchmark (minimum grade requirement) for Performance-Based Health Sciences admissions, additional transfer coursework for the same requirement cannot be granted. However, if a student chooses to repeat the required course, it can be completed only at CCRI. Students should first meet with an admissions officer or academic advisor for guidance and an academic plan: advising@ccri.edu or 401-825-2301. Additionally, applicants to the Nursing program must have completed Human Physiology within five years of entering NURS 1010. Transfer students are required to take the ACCUPLACER placement exam. However, if a student transfers the equivalent of ENGL 1005 - College Writing or ENGL 1010 - Composition I, the writing portion of the exam may be waived. Failure to take the appropriate placement exam may cause problems when trying to register for courses that require testing scores as prerequisites. Additionally, individuals with military training or substantial life experience in a specific field can explore Prior Learning options. See more about Credit for Prior Learning here. The total number of credits transferred, including Prior Learning Credit awards, may not exceed 75 percent of the credits required for a degree or certificate program. The transfer credit review process takes an average of two to three weeks to complete and may take longer during peak periods. Therefore, students are encouraged to send official transcripts from all prior institutions immediately after applying to the college: transfer@ccri.edu. Students will be notified by mail once transcripts have been evaluated. Potential students are encouraged to review our databases showing how courses have historically transferred to CCRI. Reverse transfer enables current or former Community College of Rhode Island students to apply credits they earn at the University of Rhode Island or Rhode Island College toward a degree at CCRI. Find out more at the OES website. At least 60 college-level credits, with at least 15 from CCRI. A combined GPA of 2.0 or higher. To resolve any financial obligations to any school. After reviewing your transcripts, a CCRI advisor will help you figure out which courses you need to complete your degree or certificate. If you think you qualify for reverse transfer or have questions about the process, please contact us: reversetransfer@ccri.edu or 401-333-7092. Foreign transcripts must be evaluated by an outside agency prior to submission to the Community College of Rhode Island Office of Enrollment Services. A course-by-course evaluation with grade and credit hour equivalency is required for transfer credit assessment. Please visit the OES website for a list of approved agencies.